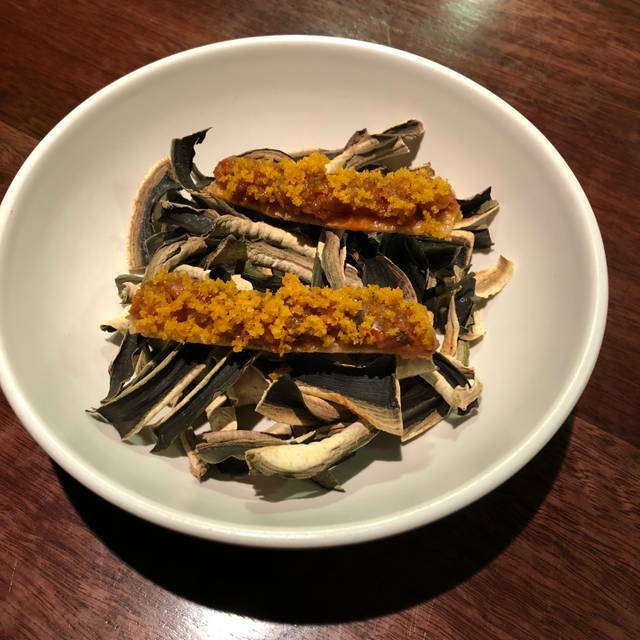 Momofuku Seiōbo serves a tasting menu for $185 per person for dinner Monday to Saturday. 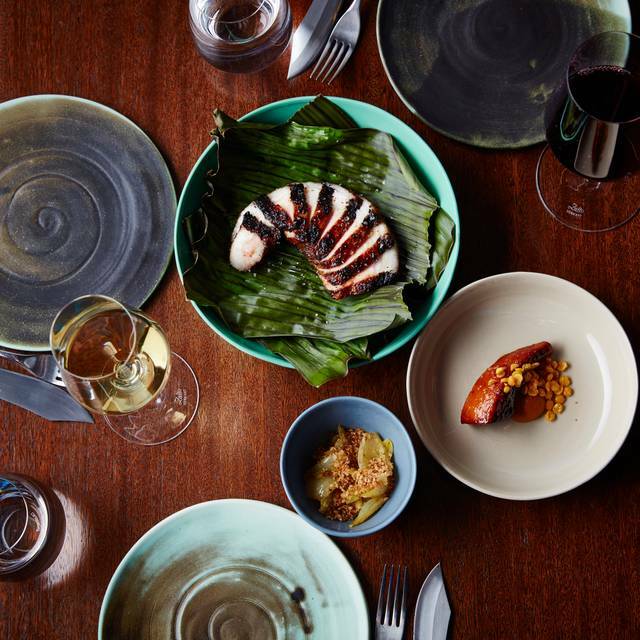 Executive Chef Paul Carmichael draws inspiration from his Caribbean heritage and the bounty of Australian ingredients. 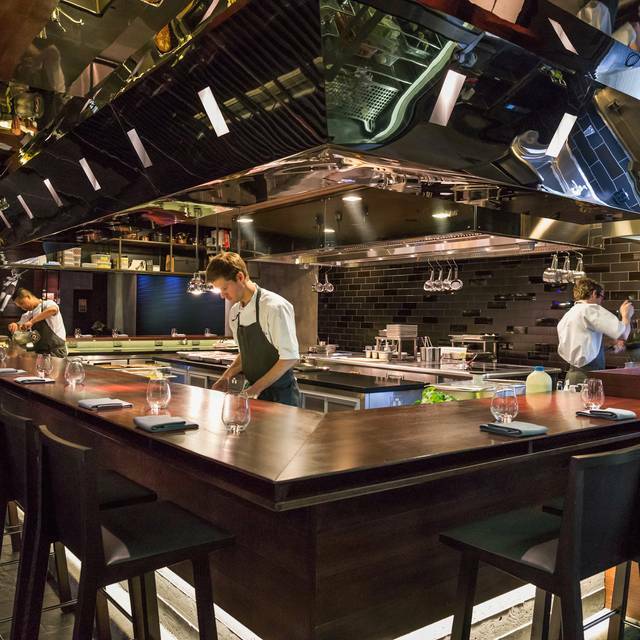 Momofuku Seiōbo has three hats from The Sydney Morning Herald Good Food Guide, and was awarded Restaurant of the Year 2017 by Gourmet Traveller Magazine. Momofuku Seiōbo is part of the Momofuku Group with restaurants in New York, Toronto, Washington DC and Toronto. For dinner Monday – Saturday and lunch on saturday, we offer a multi-course tasting menu in our 30 – 40 seat dining area (reservations only). Please allow at least two hours for your meal. We also offer a limited bar menu from 6pm – 10pm Monday – Saturday dinner and 12pm – 2pm saturday lunch at our five seat bar, on a first come frist served basis. We offer a selection of beverage pairing options to accompany your meal. Alternatively, our beverage list includes a variety of beer, wine and sake by the glass or bottle. 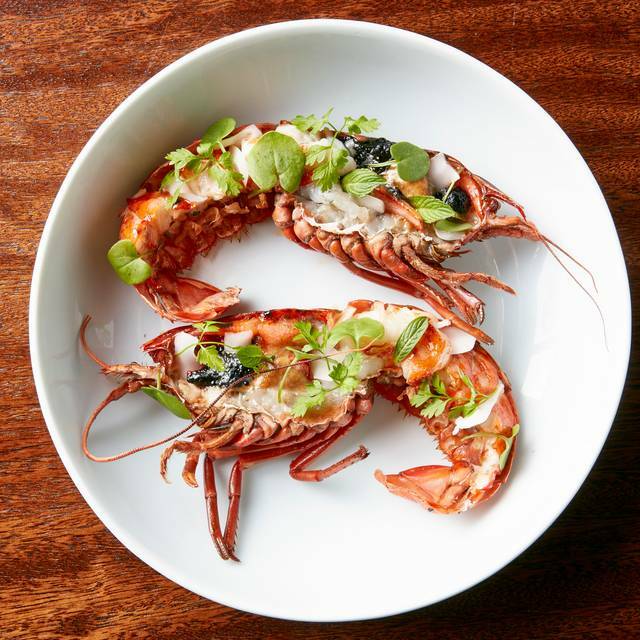 Our menus are based on our growing relationships with Australian purveyors. Executive chef Paul Carmichael draws inspiration from the bounty of Australian ingredients and the diverse backgrounds of the culinary team. With prior notice, we will try our best to accommodate food allergies and dietary requirements. Overall the 12 course meal was very good. The pace of the food delivery and the service was good too. The entree and the main gave us surprises but the dessert was a bit disappointing though. Perhaps it didn't suit our taste bud. 1 minor thingy - there is no sign outside the restaurant and therefore it's hard to locate the front door. Other than that, we were pretty happy. Wonderful! The service as always was impeccable. The fact that the chefs interacted and shared the story behind the dishes was welcomed and exciting. The food was unique, interesting and fantastic. Special pairings of things I wouldn’t usually order rounded out the experience. We will be back! Fantastic evening filled with delicious food, world-class service and perfectly paired beverages. Our wait staff were very informative and attentive, and the food was incredibly fresh and flavoursome. Would come back again in a heartbeat. One of the best dining experience I have had. I t was brilliant from start to finish. I highly recommend the paring of drinks to courses. Fantastic evening, great food and wine. Watching the magic in the open kitchen is a must. Probably the best food I have ever had!! Service impeccable, really made us feel special on our anniversary. Far and away the best restaurant I’ve eaten at in years and I’ve had the good fortune to eat at a lot of the best in the world. The 10 plate tasting menu was very creative. The degustation matched wines was excellent and fun (wine in a can, what can you say). This was so good I’m flying some friends down from Brisbane just for lunch. About $300/head for food and wine is money very well spent. Although presented in a fancy way, all dishes taste quite bland, lack of quality ingredients, used lots of spices and powders, but very little actual food. The only dish that has solid ingredient was the Marron, but it was presented misleadingly. The waitress showed us the 2 live Marrons, and said that these would be served as one of our dish. She actually showed the same 2 live Marrons to other guests through out the night, while the actual Marron that was served to us was all pre cut and prepared, not the ones we are shown. There is no real chef in the open kitchen, most food are pre cooked, just a troop of maximum intern chefs and kichenhands putting and plating food together. You pay $185 per head for an upgraded version of McDanolds. The two times I’ve been here it’s been absolutely phenomenal in terms of the food and the overall experience. Favourite restaurant in Sydney hands down. Had the pleasure of experiencing this dining experience with my wife for her birthday. 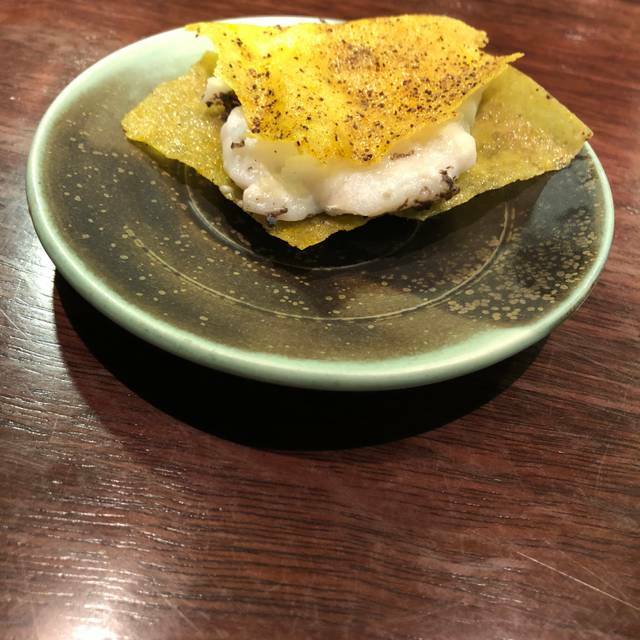 Did not dissappoint, the presentation was wonderul and engaging, service on point and not at all intrusive, food was exploding with flavours that had me wanting more. Would return. 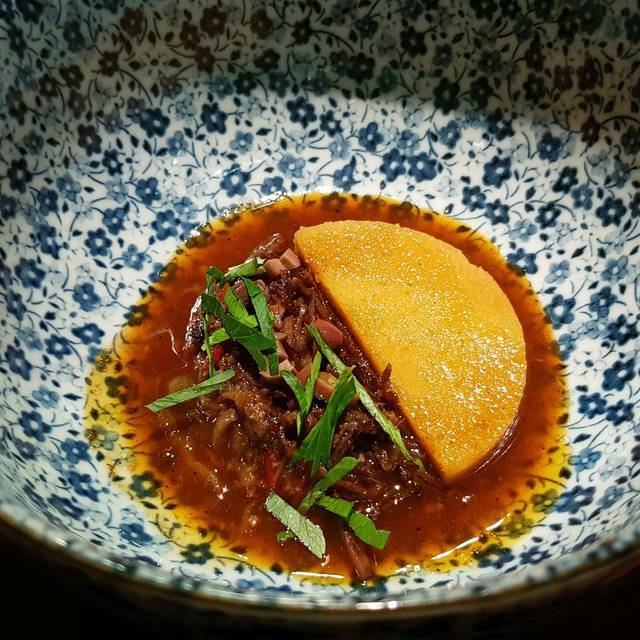 An incredible experience - imaginative interpretations of traditional Caribbean dishes, which were wonderfully complex in their flavours and textures. Pair that with well thought out wines and warm service; a fantastic combination. Staff were welcoming, knowledgeable and passionate about the food and wine. A great special occasion meal! Three of the ten courses were great but the rest were a bit of an effort. Disappointing. A wonderful food journey enhanced by enthusiastic, knowledgeable staff. 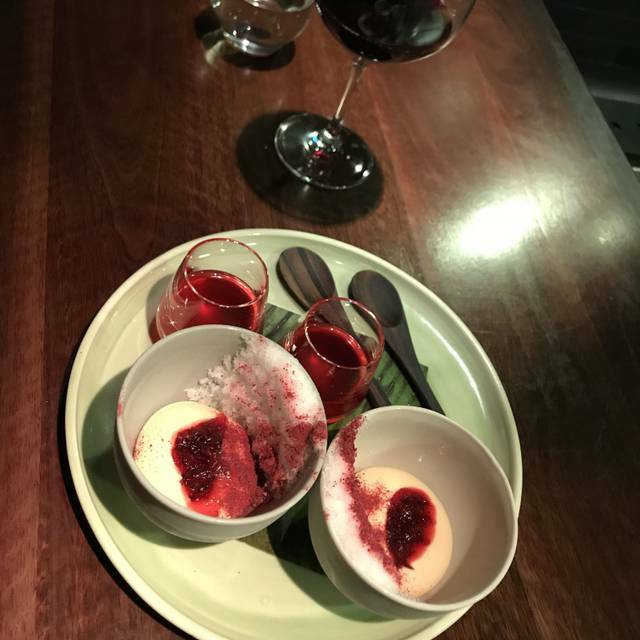 I booked a table for my boyfriends birthday, somewhere he wanted to go, I myself do not eat any seafood but like trying things I haven’t eaten before, unfortunately my stomach did not agree with the food there and had to ask to stop my tasting menu at course 4/5, I was more then happy to pay my $185 per person but was so pleased that they did not charge me for my food, they only charge for my bf and the drinks we had. They noticed straight away that I wasn’t feeling good and made sure eveything was ok and let me know they had a medic on site. They went way above what I expected the young service girl also brought me over a tea to help settle my stomach, overall apart from my stomach, was the best place I’ve been to, highly recommend if you want more than just food, the service is outstanding!!! Momofuku is always awesome. Chef Paul and all the staff (shout out to wine-ninja, Max) looked after us so well - even changing out the dishes so it wouldn’t be a straight repeat of our previous visit. Astonishing food, wonderful, welcoming experience. Yes, it’s a lot of money to pay for a meal, but in my opinion, worth every cent. Service and waiters/waitresses were very professional. I have always want to try Momofuku for years and try the delicious pork dish at the very end. I guess I was too excited to try Momofuku. Unfortunately they changed their menu recently and no longer serve the pork dish that I had always wanted to try. Marron, xo sauce and crab curry rice were the highlight. We didn’t really like the plantain/banana and also the excessive use of coconut on a number of dishes in the 10 course tasting menu. For the mango + prawn dish (as per the menu distributed at the end), there wasn’t any prawns besides slices of mango with pepper/spice. Not really sure how a few slices of mango can be part of the degustation menu. We find the menu mostly focused on soft and purée food and only had one meat dish (i.e. wagyu brisket). It was very sweet of the restaurant to provide us a complimentary dessert to celebrate my birthday. Thank you. Absolutely amazing, the service and quality of thr food was impeccable. We will definitely go back there. Exquisite. Unique. Extraordinary. These are some of the few words i would use to describe the experience. Outstanding food and service - the flavours were amazing, so hard to pick a favourite, they were all perfect! Service and food was 10/10. It's our 3rd time back and we thoroughly enjoyed our dining experience. For anyone who loves the real momofuku experience from NYC, like Ko this is a very disappointing sham. Shame David Chang leases his name to Caribbean food. I booked on the momofuku name, but didn't check the menu, so am to blame. Don't go here if you have been to NYC. Maybe it’s the cultural difference, The dishes overall are fairly salty unfortunately. Limited cocktail to offer (only 4), the pairing drinks however are delightful and nice. Celebrating my partner's birthday and we loved it so much. He's a difficult person to please on tasting menu but he enjoyed this so much. Flavors are good amd the sommeliers provided their professional advice on wine selection. Great service and they provided us an extra dessert for my partner's birthday celebration. Will definately return!! My partner and I celebrated our anniversary and had a wonderful time. 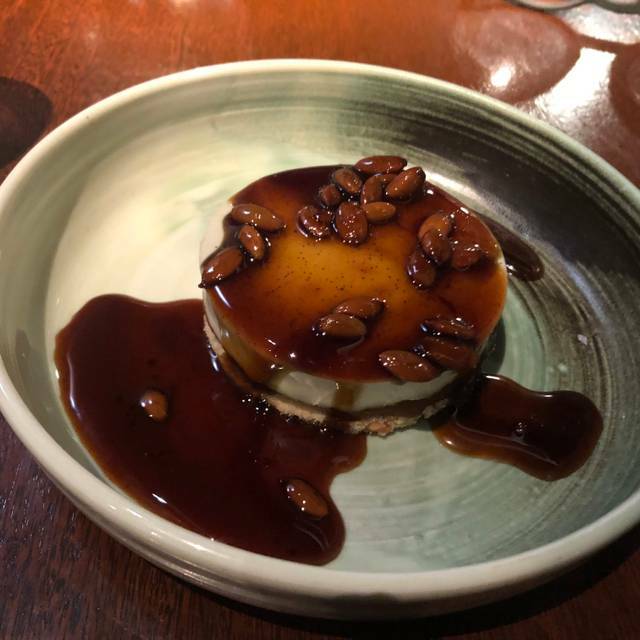 They ensured that his dietary requirements were thoughtfully adhered to (despite having to alter the degustation to accomodate this) and acknowledged the occasion throughout our dining experience. Exceptional from start to finish. The service was outstanding! I will say it was a bit difficult to find but had a great experience. 11/12 dishes were fantastic but one of the dishes was way to salty. Love it! Lovely food, good service and environment. Particilar impressed by crab curry rice and the potato dish with the fish thing! 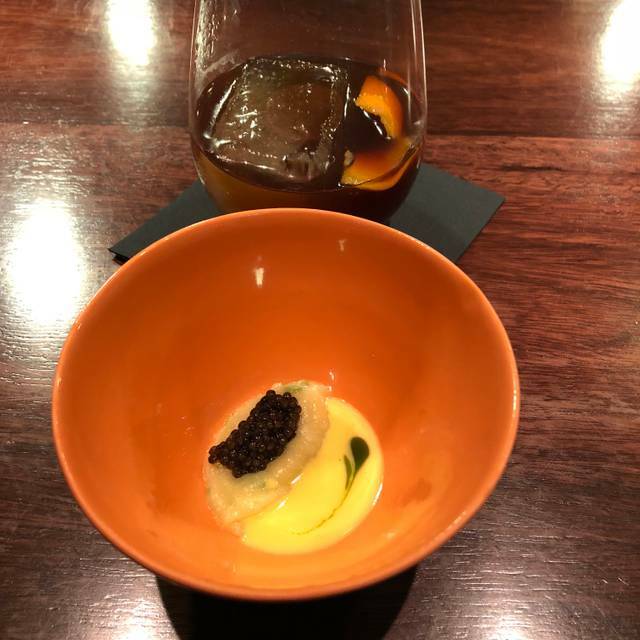 I felt deceived, a noisy bar with a few tables, half of the courses were bland, the other half, better but not worth that kind of money, the wine pairings ridiculous. White wine from Georgia? Diluted vinegar:(. $250 Australian dollars per person ( $200 USD) for mediocre food in a lousy environment. Even half that would be too much. The food was both exciting and full of flavour. Well-presented dishes with a menu that's excellently thought out. The maron was a stand-out. Would definitely come back again for more. It was my lunar birthday that day, and they gave me a special little cake that I’m so grateful for! The service and the atmosphere is so good! Wonderful, lot of surprise and experience. One of a kind!! The whole experience overall was very good. I have never had Barbadian cuisine before so the entire 13 course tasting menu was a barrage of new flavour experience after another! Unfortunately there was one slight hickup where a hair was found in one of my friend's earlier courses which slightly ruined the entire experience for her. The staff were very quick to take care of it promptly replaced the dish and compensated one of our drinks. I would have loved to know about the Barbadian influences of the dishes as well as where the ingredients themselves were sourced. Brilliantly interesting flavours which was refreshing for a fine dining restaurant in Sydney. Great service and nice to watch dishes being prepared as well as general kitchen dynamics. Thank you for a lovely birthday meal. The service was excellent, the food was good but I was expecting more.